 Real Estate North Shore MA - Recently Sold Listings | J Barrett & Co.
Below you will find all homes J Barrett & Company have sold in the last 60 days on the North Shore. 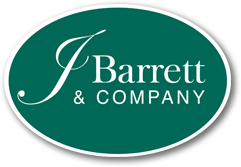 Contact us today to see how we can help you sell your North Shore home. Welcome to 10 Hersey Street! Nestled on the top floor of a three unit building this 2 bedroom two bathrooms is a rare find at this price point. The beautiful hardwood floors, and high ceilings make use of the abundance of light of this airy unit. This home features a spacious master bedroom with an en suite bathroom, an updated kitchen with sleek stainless steel appliances and generous center island, a second bedroom, another updated full bathroom, and in-unit laundry room/pantry. This pet friendly unit, is located on a one-way South Salem side street. Easy access to SSU, parks, harbor, and shops/restaurants of Downtown Salem. In the heart of Beverly's Historic waterfront neighborhood, you'll find this enchanting 3 level 2 bedroom townhouse with inspiring harbor views from every room in this delightful renovated antique. Exposed brick and beams converge with wonderful galley kitchen featuring Fisher Paykel refrigerator, GE Profile gas stove and wide pine floors. The 21"x15" living room is accented with antique brick fireplace and wide pine floors with a huge 5'x8' three piece bay window for harbor gazing and watching Beverly Harbor boating. The master bedroom is sunbathed by three operating eye level skylights for gorgeous views and sumptuous breezes. Come see why Beverly has been called the best small city in Massachusetts, with its waterfront, arts community, restaurants and craft beer breweries, train and great highway access! Make Beverly Harborview Condominiums your home! This top floor newly converted unit features wide pine floors, new kitchen and bathroom. This home features three bedrooms, in-unit laundry, Off-street parking, private deck, additional basement storage, common garden area, and freshly installed high efficient gas boiler. Conveniently located near, SSU, Salem Harbor and recreation of Forest River Park, and approximately 1.2 miles from vibrant downtown Salem. Easy access to MBTA bus lines and commuter lines to Boston. Newly converted spacious Salem Condo. This first floor unit features gleaming hardwood floors, and an abundance of light. The updated stainless steel kitchen with quartz counter tops will be any cook's delight. With three ample sized bedrooms, renovated bathroom, freshly installed high efficient gas boiler, n-unit laundry, private deck, garage parking,common garden area, and additional basement storage, make living in this unit is a dream.Conveniently located near Salem Harbor and recreation of Forest River Park, and approximately 1.2 miles from vibrant downtown Salem. Easy access to MBTA bus lines and commuter lines to Boston. Well maintained two-bedroom and two-full bath condominium unit offering an enviable single-level living life style. Open and airy living area with its high soaring ceilings that permits natural light to transmit from its many southern exposed windows. This unit further boasts many desirable amenities to include, hardwood floors throughout, central air conditioning, interior laundry, modern kitchen with stain steel appliances, ample closet space, natural gas heating and assigned parking. Other coveted features include architecturally appealing transom windows and skylights. A well-managed Association maintaining an impeccable building with manicured grounds of floral beds and vegetable gardens creates a tranquil place to unwind. Easy access to downtown, shopping, beaches, Route 128 and MBTA to Boston. Pet Friendly. Wonderful location in a quiet country neighborhood minutes away from the main highway, commuter rail, sought after Hamilton/Wenham school systems, rail trail for walking or biking and much more.This 8 room 3 bedroom 2 full bath home is positioned on a 1.06 acre corner lot.The large lawn lends itself to many activities, great for entertaining.The lower level has a large light filled family room which leads outside though french doors, office and laundry room and access to a spacious 2 car garage with new door openers.The main level has an open feel living room with a fireplace, dining room and kitchen equipped with granite counter tops, stainless steel appliances and a door leading to the back deck for grilling or just relaxing.The upper level has the master bedroom with master bath and two additional spacious bedrooms and a second full bath. The property has many new updates, new oil burner/heating system, new roof, and new circuit breaker panel to name a few. Just around the bend from Rockport's premier beaches, Front & Back Beach, extending into Rockport Village with its shopping district rests this charming nostalgic colonial home. Enter the home and note a traditionally laid out first-floor plan with living room, dining room, eat-in kitchen and an office area. Rooms are lite, open and airy. The second floor offers two good-sized bedrooms to include a master bedroom with a large dressing room and a full bath. Hardwood floors grace the living room, office area and underlay the dinging room. wood floors above. Extra amenities include interior-exterior accessible basement with concrete floor, enclosed back porch and an easily accessible spacious attic. Improvements include all new systems, a Burnham boiler, hot water tank and electric panel. The home awaits its finishing touches with its new owner. Quick access to Rte. 127 and to the commuter rail to Boston. Enjoy a quaint seaside New England village and beautiful Cape Ann! Fantastic Bungalow waiting for you! Welcome to this beautiful two-bedroom single-floor home that is close to all of the major commuter routes and conveniently located in a fantastic neighborhood. You'll love your garage and outdoor storage space. You'll enjoy your seasonal cabana in the back yard. Your new home has two bedrooms, a traditional dining room and a sun-filled living room. Ample storage in the walk-up attic gives great convenience. Your spacious, open basement is perfect for hobby shops or even more storage. Make an appointment today! GREAT LOCATION!! THE beginning of BEARSKIN NECK with dramatic ocean views. Commercial income producing space on first level with two floors of residential space above; 2BR, 1 1/2 bath, large eat in kitchen and living room with 4 balconies (3 sea side: one each for store, 2nd and 3rd floor, one each for store, 2nd and 3rd floor; and 1 street side for 2nd floor) and a rooftop deck with a spectacular view - perfect for barbecues, watching the sunset, the 4th of July bonfire, and the August fireworks. Walking distance to restaurants and the Shalin Liu Performance Center. Charming.! Renovated in 2014 this 2 bedroom, 1 bath Ranch offers everything you need with the ease of single level living and a floor plan that truly maximizes the space. Features include hardwood floors, cathedral ceilings in the living room which is also wired for surround sound and a beautiful kitchen with black/stainless appliances, granite counters and a breakfast bar! The full bath has tile floors, granite vanity and stackable washer/dryer. Off of the kitchen is the dining room with sliders that lead to the deck overlooking the backyard which offers plenty of space to enjoy the outdoors as well as a shed for exterior storage. Roof, windows, siding, heating system and hot water heater were all done in 2014 with CENTRAL AIR added in 2016! Double closet's in both bedrooms plus a pulldown attic for additional storage completes this package. Located off of Route 110 with easy access to 495 this is the one you have been waiting for! Spacious & Bright property offers 3 bedrooms, 2 full baths, large family room with fire place, heated sun room, kitchen with granite counter tops, dining room with fire place and large den. This home sits on 1.3 beautiful acres that has mature plantings, sloping lawn and large in ground pool area with a cabana. There is a large deck with hot tub as well as a covered porch with a ceiling fan. Basement level has custom cabinets/work benches perfect for work area and or storage. Welcome to this completely renovated, move-in condition home. From the beautiful hardwood floors to the open concept kitchen with large center island, any buyer will be proud to call this home. The kitchen has granite counters, beautiful glass tile backsplash, stainless appliances, center island with wine cooler, large dining area with sliders leading to the deck. All of this letting in plenty of natural light. New banister leads to large master bedroom with easy access to 2nd floor laundry. The 3rd level is finished with built ins and can be used as a bedroom or office. This well run complex with pool offers an easy life style and is close to parks and highways. All exterior renovations complete in 2018.